In late 1969 Paul Simon and Art Garfunkel had just (almost) completed their famed LP Bridge Over Troubled Water, a record that would unfortunately be the duo’s last, but one that would leave an indelible impression on the world of music. Following the recording of the record the pair embarked on a October/ November tour that I believe began on Halloween in Detroit (anyone know?). In spite of the clashes that would sever the partnership in 1970 Simon and Garfunkel played a series of ornate ‘evenings with’ that would be recorded by producer Roy Halee with the hopes of recording a follow up live album to Bridge Over Troubled Water. 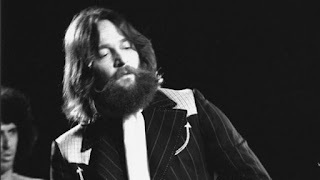 Pristine recordings of the November 11, 1969 Miami University concert have circulated for years and the belief is that the entire tour was recorded. Well, it looks like the tour was recorded, based on the tracks available on the focus of today’s rock rant. The recording I am spinning in the ‘rock room’ today is titled Live 1969 and was released in 2008 as a Starbucks only release for some odd reason and then saw a full retail release in the next year. The live compilation collects 17 performances from the 1969 tour and gives us the follow up live album that never was after the duo’s split. 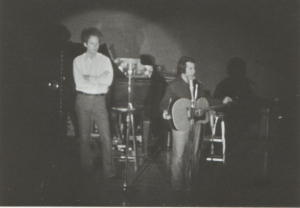 The concerts on the 69 tour started with Simon and Garfunkel playing as an acoustic pair per usual, then returning with an electric band comprised of Hal Blaine on drums, Larry Knechtel playing keyboards, Joe Osborn on bass and Fred Carter Jr. on guitar. This smoking little quartet along with Simon’s terribly underrated acoustic guitar work injected the sets with a funky aesthetic that only strengthened Simon’s lyrics creating a different viewing frame for the poet’s tales. The Live 1969 compact disc features performances from Long Beach, Carnegie Hall, Detroit, St. Louis and Carbondale, Illinois. The sound quality as to be expected is stellar and the performances chosen are spot on. The design of the release follows the normal concert set construction; we get Paul and Art spacious and intimate with only acoustic guitar and voices, then the band joins to lend some swing. ‘Homeward Bound’ opens the disc and hails from Long Beach, Paul and Art sing like brothers, Simon’s literary imagery flashes by in a series of sonic highway streetlamps. Garfunkel’s ghostly wordless echoes of the songs melody are inspired and timely. ‘At the Zoo’ comes next, the closing song from 1968’s Bookends LP, this rare performance drifts in syncopated stoniness. Simon’s voice quivers with investment while Garfunkel’s harmony vocal lines are a thick coat of paint on Simon’s artistic ruminations. ‘The 59th Bridge Street Song (Feelin Groovy) follows and you will not find a better version. The ‘rock room’s’ personal favorite comes next with an inquisitive and poignant reading of ‘Song for the Asking’. Art reveals that the song is the most current of the new tunes that they have recorded. A crystalline version follows with Simon’s central acoustic riff a tale of its own, the wordless interlude speaking volumes and the vocals close relationship indistinguishable as separate entities. Before I can gain composure from this stirring display of stunning musicianship, For Emily, Wherever I May Find Her follows in dramatic fashion, Simon’s knitted 12 string work creates an emotional webbing in which Garfunkel expresses some of his finest vocals committed to tape. Wow, this is an intense performance, taken from a show in St. Louis. A Carnegie Hall cut of ‘Scarborough Fair/Canticle’ ends the acoustic segment and precludes the entrance of the band. The joyous cadence of ‘Mrs. Robinson’ soon begins and is driven by Simon’s chunky and driving acoustic guitar, but when the organ enters the song becomes something else. The groove is tom-tom driven and infectious. Folk-rock! Art introduces the band before a rendition of ‘The Boxer’ from Long Beach, the pulse of the drums propels a stunning reading of the duo’s most current single. The famous narrative of the solitary fighter in the ring battling his way through existence cuts its path to a celebratory sing a long conclusion. ‘Why Don’t You Write Me’ from the yet to be released Bridge Over Troubled Water is a definite reason the duo thought to bring the band along on this tour. This song is a highlight of the 1969 shows and this particular version from Long Beach spotlights busy vine hopping bass by Osborn and absolutely golden Garfunkel vocals that warble with a soulful pleading. The song is saturated with the famed Paul Simon rhythmic sensibility that seems to dip into multiple worlds of influence effortlessly. Another yet to be released song, ‘So Long Frank Lloyd Wright’ features beautifully understated backing by the band, and alternating vocals by Paul and Art. A breezy pulsating groove is developed between Simons plucked chording, the hollow hand drums and warm bass. A highlight of the recording is these current for the time Bridge Over Troubled Water songs and their live disseminations. A full band acoustic version of Gene Autry’s ‘That Silver Haired Daddy of Mine’ again from Long Beach comes next and is a conglomerate of dusty clip-clop country and the Everly Brothers. Paul and Art are hand in glove with their vocals and their enthusiasm can be felt through the magnetic tape. ‘Bridge over Troubled Water’ comes next and is unique in that it is introduced to the Carnegie Hall crowd as an unknown song, yet to grace an official recording. Art’s vocals are transparent and brimming with a resplendent vibrato power. I can pick up on the fact that he wants to knock it out of the park in front of the hometown crowd. Absolutely stunning and the recorded crowd agrees. ’Sound of Silence’ from Carbondale follows so you get the 1-2 punch of the pairs most amazing creations. The song builds organically with only the sound of shoe leather on stage adding additional instrumentation to Simon’s guitar. The crowd sits in rapt silence. ‘I am a Rock’ follows from the same show and stays with the same formula, building intensity through Simon’s lyrical arrangements and his dynamic rhythm guitar which rises and falls with the breath of the duo’s vocals. 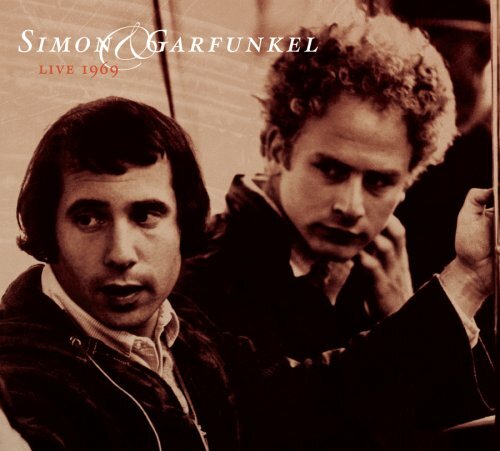 In what sounds like it would be a hypothetical encore, Simon and Garfunkel return with only Simon’s troubadour acoustic for the fitting ‘Old Friend’s/Bookends Theme. Orchestrated yet simplistic in its instrumental approach this acoustic movement is everything I hoped it would be. It’s timeless melody able to draw my own memories out of my skin and mind. Powerful stuff. Started amongst the rumble of a rowdy and appreciative Detroit crowd, ‘The Leaves That Are Green’ silences the throng when it drifts in Simon’s finger picking like a lazy falling leaf too tired to fight. Even when separated by pauses and frozen moments like after the second verse, Paul and Art’s vocals again merge as one to soar. 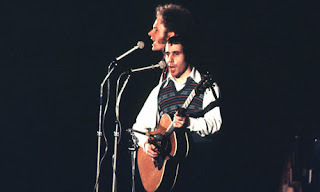 Here is featured a performance for the ages and one that epitomizes the musical core of Simon and Garfunkel. The collection closes with ‘Kathy’s Song’ another new song for the time. I am unaware of the song’s context in the St. Louis performance for which it hails, but here it acts as a stirring conclusion to the series of songs and concert. Simon sings solo accompanied only by his circular finger picked guitar melody. Stripped of everything but Simon’s honest emotion and poetic sensibilities ‘Kathy’s Song’ is a song you crawl into in order to fully receive everything it has to offer. I can't really say more, except I am grateful this rendition was documented. Thankfully someone had the foresight to realize the gaping hole left in the Simon and Garfunkel discography because of no proper live document from their late 60’s era of touring. This collection while not perfect (no ‘Fakin’ It’?) offers fans a document of peak performances, a few rarities and endless classics. The duo’s internal struggles shriveled away when they were joined through their companionship of music, enjoy those long ago heady days with this stellar recording.